There’s something about spring training can Greg Bird that simply doesn’t mix. The injury bug has struck the New York Yankees this pre-season, and Bird was nearly the latest victim after being hit in the elbow by a pitch. Manager Aaron Boone immediately pulled him despite the first baseman advocating for his return. Potentially interfering with Bird’s mechanics was not part of Boone’s plan, as he preferred to rule out any injury by sending him for an x-ray on the elbow. A bit of bruising and swelling was the only takeaway from the x-rays, as they came back negative. 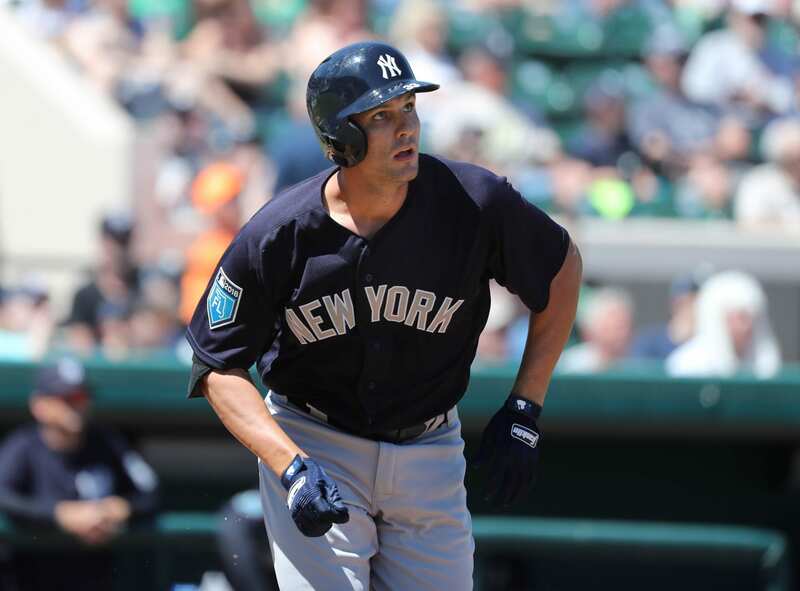 Aaron Boone says Greg Bird's x-rays and CT scans were negative and that he will probably play in this weekend's games. The Yankees’ infielder has played in just 130 games the last three seasons, including 82 in 2018, in which he hit .199 and lost the starting job to Luke Voit. While Voit is likely to earn the first crack at the starting job after hitting .316 with 12 hits, four homers, and 11 RBIs this spring, Bird has also impressed in a small sample size. The latter is hitting .333 with 13 hits, three homers, and eight RBIs. Both match up will in terms of batting, but the consistency and effectiveness of Voit in the second half of 2018 has propelled him into the starting job. However, Boone and general manager Brian Cashman love Bird and his defensive abilities, which are far better than Voit’s. Defensively, Bird committed two errors in 69 starts last season with Voit racking up two errors in just 31 starts. Despite last season’s totals, Voit has worked tirelessly to develop his defense and go toe-to-toe with Bird on that front. The Yankees cannot escape injuries as Luis Severino, CC Sabathia, Delling Betances, Aaron Hicks, Tyler Wade, Jacoby Ellsbury, and now Bird will have all missed time this spring, with a majority expected to miss the first few weeks of the regular season. Losing regular starters like Severino, Betances, Hicks, and Sabathia will surely hurt, but luckily the team invested funds into building out the bullpen and starting pitching rotation for these exact scenarios.